Weather headache for daffodil sales Jump to media player Flower growers in Lincolnshire fear the unpredictable weather will damage business. 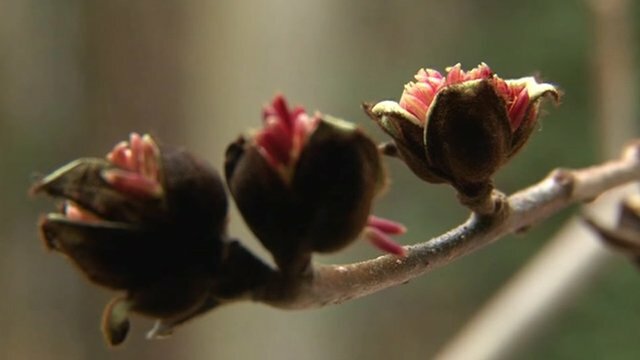 Storms may have delayed blooms Jump to media player The National Trust says the stormy weather may have caused a reduced number of blooming flowers at some of its gardens in the south-west of England. 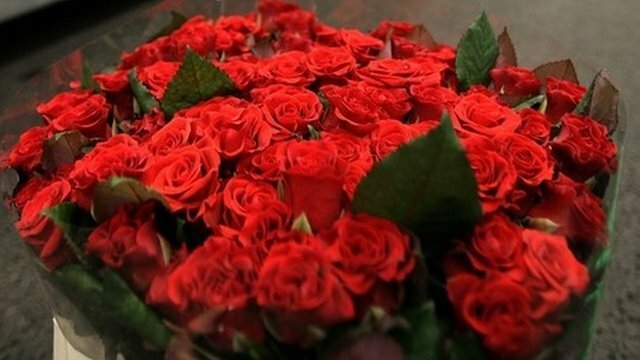 Row stops Europe Valentine's deliveries Jump to media player Millions of flowers that were destined for cities across Europe are unlikely to be delivered because of an ongoing border dispute between Bulgaria and Turkey. 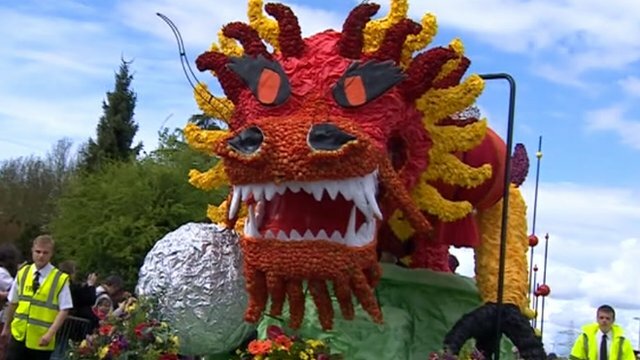 Town says goodbye to flower festival Jump to media player People in Spalding have watched the last flower parade in the Lincolnshire town. 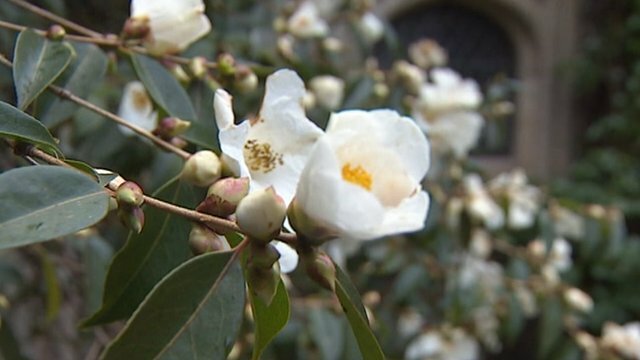 Fewer flowers in Trust's count Jump to media player Fewer flowers are out across the south west of England than at the same time last year, according to the National Trust. 'The Floral Jewels of the North' Jump to media player Hundreds of volunteers have decorated Durham Cathedral with flowers to coincide with the exhibition of the Lindisfarne Gospels. 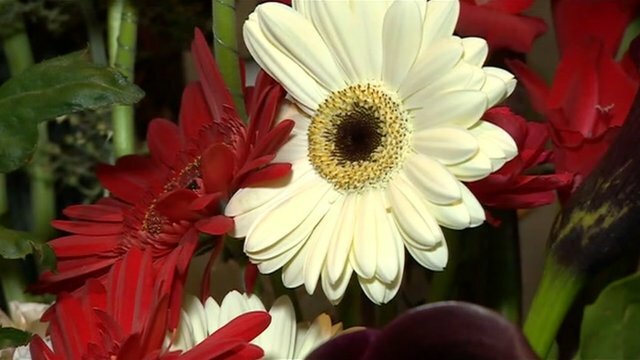 Flower growers in Lincolnshire fear the unpredictable weather will damage business. 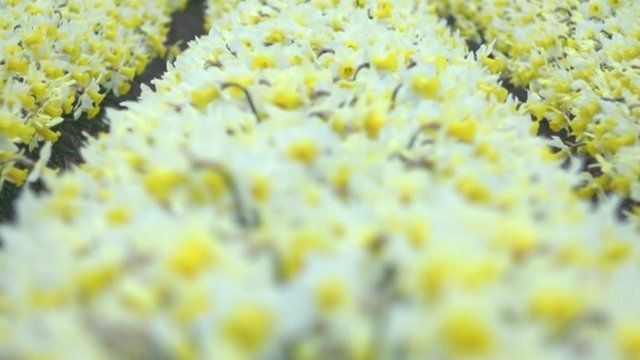 The county's daffodil crop, which accounts for nearly half of all UK grown daffodils, flowered at least two weeks early following unseasonably high temperatures. Look North's business correspondent Paul Murphy reports.